This has been quite a productive week - well, for me anyway. Big footy finals here this weekend - I'm not a big fan, though I do like NRL, only because of the Broncos, stirs up lovely memories of my home state, Queensland. 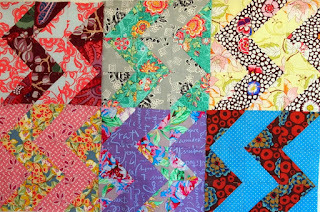 So, I am spending time on my quilting! 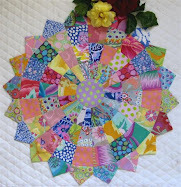 This is falling into place beautifully - great fun pulling out all the pretty fabrics from my stash. I'm sure I won't have to buy more fabrics for this project, though you know I would if I had to, tee hee! 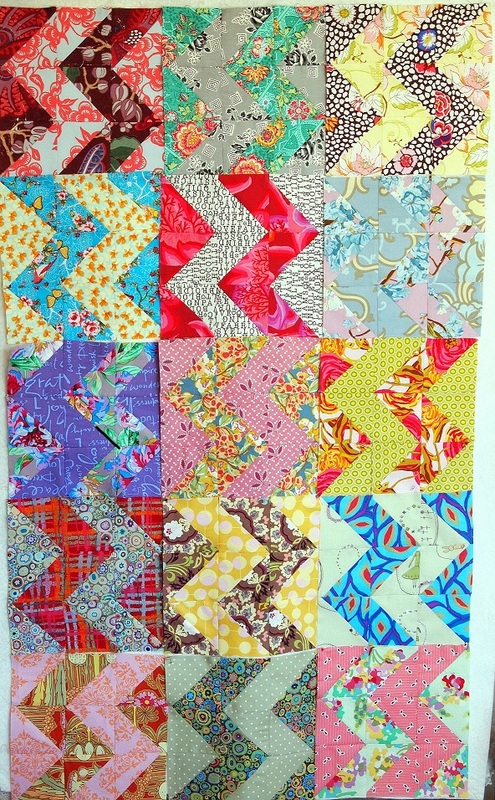 The block are 9" finished, so perhaps finished quilt will be 54" x 63", we'll see! I don't do really big quilts because of body limitations and they taker too long to do anyhow! 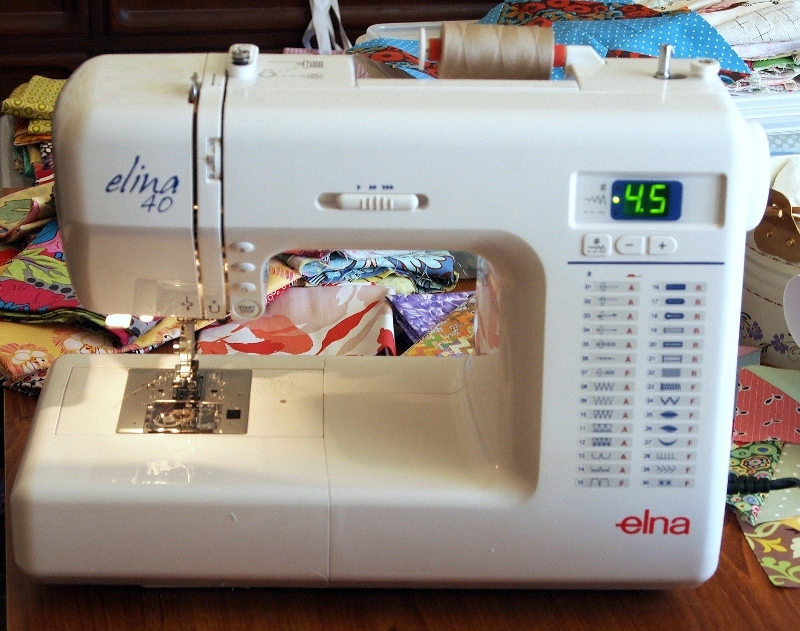 Elina has come into my life - a little cheapie, but she is very nice, shame she's missing built-in scissors. She does pack a wee bit of weight, but not too bad - my Big Girl, Janome Memorycraft 6600 is just gorgeous, but too heavy to transport. If I didn't have the Janome, I think I could live with just Elina. I am now going to have a glass of wine and pop on my iPad to say hello to you Lovelies who commented on my last Post. Happy weekend and may your footy team win, lol! 'Another!' I can hear you say - not too many finishes, but life doesn't get boring, lol! I think a lot of us are the same. 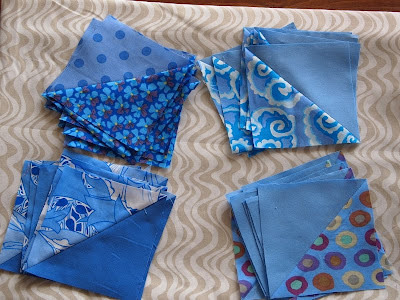 This time I feel pretty certain I have plenty of the right kind of fabrics in my stash and the weather is warming up so definitely stitching time. I am using the new interface, so far so good! I don't think I have this laid out correctly, will think about it tomorrow. Inspiration has come from The Root Connection, Painted Zig-Zag Tutorial. Thank goodness I have a few days ahead without commitments - I just might have the time to make sure I am on the right track! Things are very slow on the stitching game - here's my 5" squares all cut and ready to be posted! It is a very beautiful day here today - so nice to have warm, sunshiney weather. 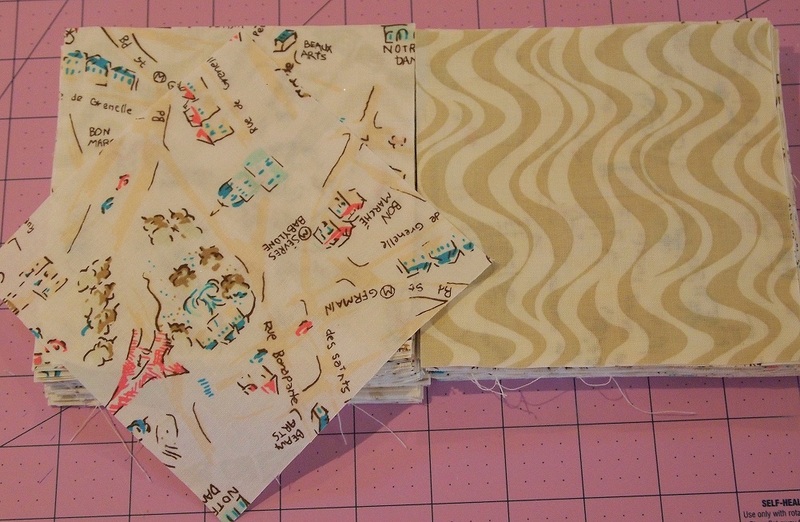 Maybe, just maybe it will spur me on to get onto my stitching. I do have a new project in mind, and oh, goodness all those WIP's! Hope you are all enjoying your days, too! Swaps - Triangle and Low Volume! 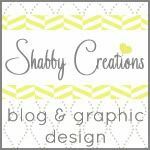 Back again with a little less frustration with Blogger! All Australian today, thank goodness. Here's my 30+ Blue Triangles - I posted about the Swap a little while ago. My Girlfriends! and I are doing it on a monthly basis in the following colours: Blue, Green, Gold, Red and Purple. A nice idea! Here are the two fabric I have chosen for the Low Volume Swap. I certainly hope they meet the criteria - now they have to be cut into 5" squares and posted to the US. Just now I am going to put the badge on my sidebar - it is so long since I have done one, let's see if I can work it out. I did have a little fiddle to get things back to normal on my blog - I had to right some wrongs and toss out some gremlins, I'm not looking forward to the new interface. There is a lovely sewing retreat on this weekend coming, so it is off to do a bit of shopping for goodies. Lots of fabrics are waiting to be packed - how much will get stitched is the thing - I do tend to chatter a bit when with the girls - so much of my life is given to my family, that it is a bit of a thrill to be frivolous. I must take some bubbles, too - there are some things we just can't do without, lol! I really don't know where I am at or what I am doing! Blogger converted me to Chinese, of which I have no knowledge - and then I think he's converted me to the new interface too - I have my fingers and toes crossed that I will be able to post this message. Oopsy! I just lost my pic then and also my signature - looks like I have a bit of studying to do. 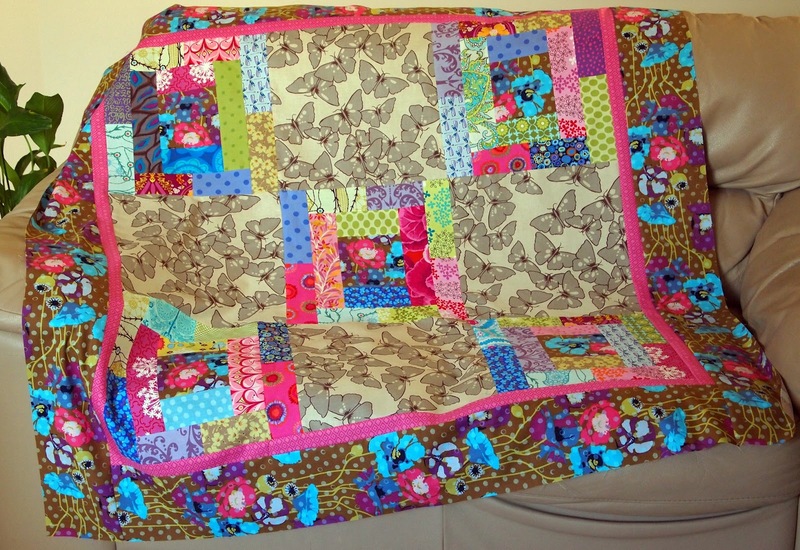 I am not sure of the fate of this pretty quilt. As I said, DD loves it, so we'll see. 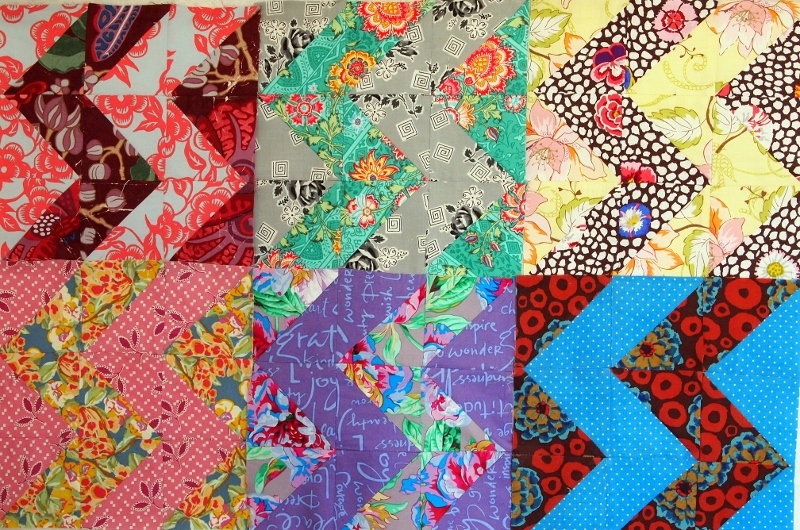 I'm rather happy with the way it has turned out - yes, the neutral blocks have counteracted the brights beautifully. 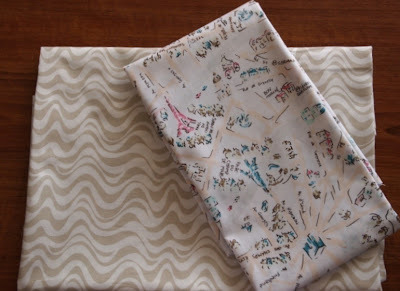 This is hard-going not knowing what I am doing, so maybe I should spend a bit of time at the sewing machine, then do a bit of research, maybe I can find the old interface, now wouldn't that be lovely. This is not looking so good being automatically centred, and I'm so sorry it is so long since I have posted and there's a few replies I haven't made ... so it's ciao for now - hugs, Lurline.